Aruze Gaming’s new electronic table game (ETG) for roulette – Lucky Roulette – is being prepared for possible Macau market entry. “We are going to submit that to the government in Macau,” said Kevin Lee, deputy general manager based at the brand’s local office, and referring to the Macau casino regulator, the Gaming Inspection and Coordination Bureau, a body also known as DICJ. He was speaking to GGRAsia at the MGS Entertainment Show 2018, an event with a casino industry trade exhibition and conference, held at Cotai Expo at the Venetian Macao resort. “It is a super big roulette, with plenty of sound. This is what we want to bring to the mass market,” he added. “We want to align with the Macau strategy – and the Asian regional vision – to bring a more mass-market audience, rather than focusing on VIP,” added the Aruze Gaming representative. The standard configuration for Lucky Roulette in-the-round, is eight player seats. A stadium version is available with up to 50 seats. 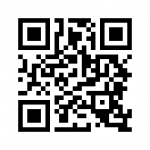 The product is fully automated and does not require a live dealer. Some ETG products for the Asia-Pacific region – that offer electronic betting and electronic bet settlement – have the capability for players to bet on multiple games simultaneously, although such features are not permitted in some regulatory markets. 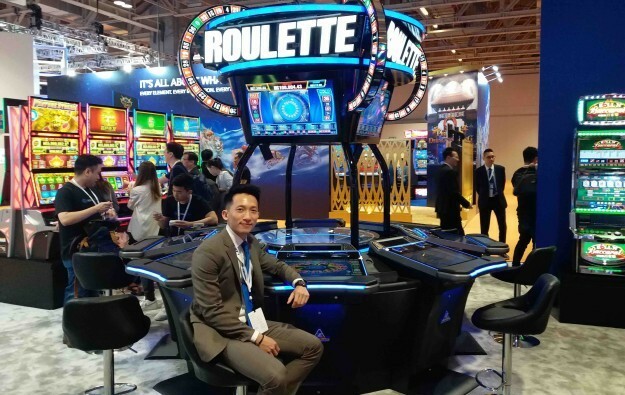 Mr Lee said that – as regards roulette and even other games – Aruze Gaming’s research found players only want one game at a time. “With roulette it is all about the anticipation of the ball dropping in the pocket,” he told GGRAsia. “Based on our studies, players don’t actually play multiple games at the same time: they don’t play for example – on a multi-game – roulette, baccarat and sic bo at the same time,” he added. Lucky Roulette uses a solid-state wheel and ball, but also uses digital projection mapping technology to display images on the hub of the wheel. In the sample on show at the firm’s stand at MGS, the images were constellations of stars. “We are trying to animate the wheel, to make the wheel more interesting,” Mr Lee told us. The manager noted that the brand’s set of after-sales guarantees to casino operators showed Aruze Gaming’s commitment to the industry. The guarantees include a pledge to maintain parts on hardware for up to five years after purchase, and a commitment on business performance of game software for two years from purchase, with the offer of a software update if performance could be proven to have fallen below the individual operator’s floor average in that time. 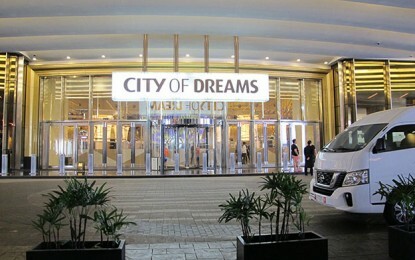 “We want to be there [at each casino] and continue to be there,” after the initial sales phase, said Mr Lee. The approach was about finding “a way to make the business work,” for the casino operator, he told us. “We will continue to bring forward more dynamic products, especially for Asia,” the manager noted.